WOW!! is all you can say when you EXPERIENCE THIS HOME...as well as what you friends and relatives will say when they visit you. Are you looking for a "TURN KEYâ MOVE-RIGHT-IN AND ENJOY HOME? Well look no further! This 4 bedroom PLUS a den/office PLUS a bonus room with a MUST-HAVE 3 car garage and a BEAUTIFUL CUSTOM POOL sits on a GREAT CONSERVATION HOME SITE...and...is COMPLETED APPOINTED TO THE MAXIMUM...AND...COMES COMPLETE WITH ALL FURNISHINGS AND CUSTOM DECORATIONS. This home is PRICED BELOW COST with over $300000 in OPTIONS & UPGRADES (not including furniture). 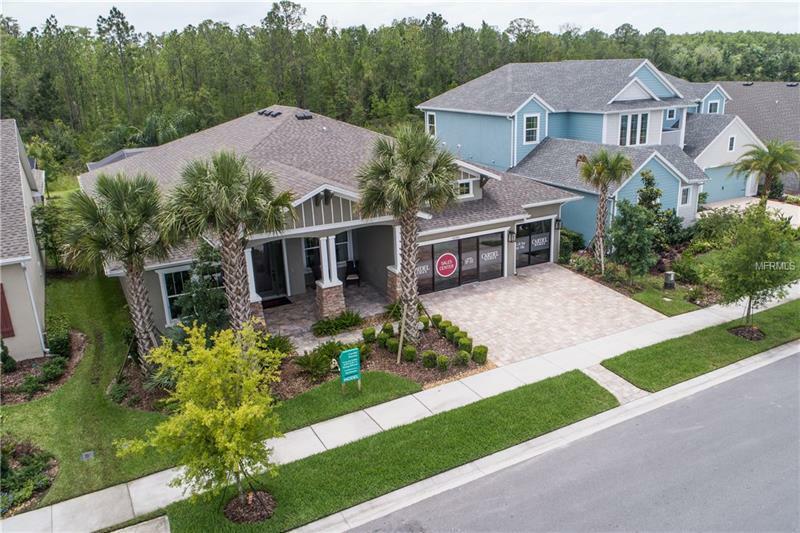 FEATURES such as 12 FOOT CEILINGS QUARTZ COUNTERTOPS HARDWOOD FLOORS GOURMET KITCHEN WOOD BEAMS IN CEILING CROWN MOLDING COFFERED & TRAY CEILINGS CUSTOM WOODWORKINGS PAVERS ENERGY EFFICIENT TOP OF THE LINE EVERYTHING! Thereâs just way too much to list. The home is currently being used as the model for the sales center. Put this one on the list to VIEW TODAY.